Preparing for the honour of sharing defining professional experiences with my esteemed peers at the Annual Conference of the Arthur W. Page Society, I was struck once again by how much of a perfect storm we had faced at ABB Ltd about a decade ago. The period saw a rapid unraveling of a corporate house built for expansion. 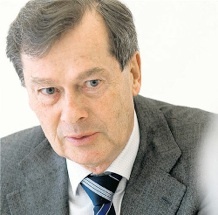 The product of a merger in 1988 by Brown Boveri Co. of Switzerland and Asea AB of Sweden, ABB Ltd. was long admired for its apparent ability to absorb acquisitions. ABB made 485 acquisitions between 1988 and 1993, becoming a 150,000-person global leader in power generation, power transmission and distribution and industrial automation, including robots. Integration into ABB was not onerous. An ABB logo on the roofs at your sites, your management teams largely left in place, a new common reporting system. It was a machine geared for expansion. Top line ruled. Size and presence were everything. In some quarters, ABB in 1988 to 2000 was known for its Almost Bizarre Bravado. Apologies for this long blog post, as I to share how we re-set a company, making ABB stand for All Back to Basics. The year I joined as CCO, 1998, ABB topped the Financial Times Most Admired Company list for Europe for the fourth or fifth year in a row. The founding CEO had become Chairman. The new CEO hadn’t made dramatic changes yet, but they were to come. In a break with the expansion approach, and in keeping with the spirit of the time, which favoured the jettisoning of “heavy assets,” two key divestments followed. ABB sold its train business to Daimler, which later sold it to Bombardier, and its power generation, or turbine, business to Alstom (now acquired by GE). Both deals were set up as 50/50 joint ventures, with an understanding that the other partner would buy our half. As a result of this focus on “more attractive parts of the value chain” – highlighted through a few acquisitions of industrial software companies – investors briefly loved ABB. Our share price hit an all-time high of 56.00 Swiss francs in May 2000. 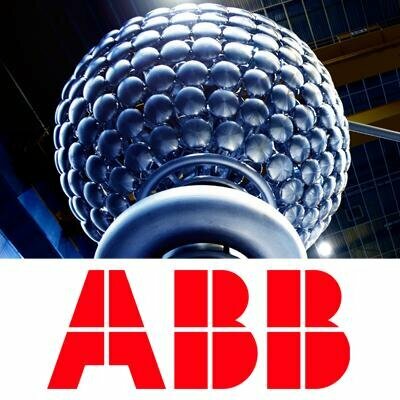 A strategic crisis – analysts asked us which business was ABB now focusing on. It had sold its two most visible divisions. It had dabbled in tech geek speak around the “New Economy,” yet in the end it was still a heavy asset corporation with a huge physical footprint. Who are you, where are you going? We were often asked these questions in 2001 and 2002. A liquidity crisis – after selling the two businesses which generated huge cash advances, which had been used to establish a successful financial services division, ABB continued its financial services business with borrowed money. When commercial paper dried up, we were nearly toast. We also had a share buyback plan that actually lost money, would you believe it. And we had enormous process inefficiencies in the business, leading to unsustainable cost levels. Asbestos crisis – U.S. litigators, which had run out of tobacco money after the federal settlements, were targeting asbestos. One of ABB’s US acquisitions, Combustion Engineering, became easy prey. No one in Europe understood tort lawsuits. Deep uncertainty surrounded the asbestos claims against ABB. Once, the CEO (my second ABB CEO, of four in seven years) was asked at a press conference if the asbestos suits could bankrupt ABB. He refused to say no. A governance crisis – the two first CEOs of ABB, who served from 1988 until 2000, had, in the eyes of the board of directors, been paid too much in pension. Following pressure from an activist investor, whose 10-percent shareholding earned him a board seat, the board insisted publicly that the two ex-CEOs repay a large part of their shares. After the demand became public, a media storm ensued. An organisational crisis – given the sudden drumbeat of relentless trouble and especially the employee disappointment over what people saw as the greed of the two former CEOs, a company used to walking tall now felt like a loser. The work force was hugely de-motivated. A stock market crisis – after its high of 56.00 Swiss francs in May 2000, as the other crises became known in the market, the share price plummeted to a low of 1.40 Swiss francs in October 2002. How do you get out of a situation like this? One step at a time. We realised that we had to reformulate our corporate character (brand and values, or business principles), change and relentlessly implement a new and simpler strategy, fix our financial situation, build better processes, alter behaviours and the corporate culture, and do this by building advocacy at scale through internal renewal. In communications, we had to charter new routes – to bring alive an enterprise-wide communications approach that was more open, more transparent, more radical and more interactive than anything a company our size had tried before. It was a total break with the classic protect and promote model. To rebuild, we first had to tear the place apart. Fortunately, it wasn’t over, even though our new CFO wryly observed “the company was a mile wide and an inch deep,” and found it hard to regain financial stability. On two occasions six months during the crisis years, he had two documents on his desk on a Friday: one a declaration of bankruptcy, and the other an agreement with our banks for new credit lines. When Mr. Dormann took over as CEO, he made it very clear that we had to attack our problems head on, including the weaknesses in our culture and behaviours. So how did we, in the parlance of today’s Page thought leadership, activate corporate character? Luckily, as things had begun to wobble in 2000, my team had begun a sustained internal dialogue involving about 2,000 people – around 100 people in 20 different countries organised into feedback groups by our local country communications managers. That gave us a foundation for interactive leadership. When Mr. Dormann took over as CEO, in September 2001, we began a weekly CEO letter, which went out each Friday. They were locally translated into 12 languages. Our intranet (abb.inside) provided a home for what the people of ABB called the Dormann letters, and he called his Friday letters. For 112 weeks, until he handed over to a new CEO, I spent my Friday midday period writing the weekly letter, based on briefings with the CEO during the week. A feedback window, where employees had to enter their name and role, allowed people to write directly to the CEO. He made clear up front that he wouldn’t reply directly or intervene on the basis of his correspondence, but instead take up the input as themes in future letters. He received more than 4,500 responses. The letters created a company-wide conversation, and did more to change the culture than any other transformation process I have seen at work. The people of ABB were desperate for plain speaking and leadership. As I said to Mr. Dormann when he became Chairman, a year before he assumed the mantle of CEO, we had become “the glue-less led by the clueless” and needed a firm, fatherly approach. As he once observed to me, his weekly letters both drove and chronicled our culture change. At this time, Communications led the process to rework our values, outdated and no longer credible according to surveys we had conducted with our feedback groups. Instead of our past functional guidance – basically a rule book – we now aimed for behavioural guidance. We ended up with three business principles, Responsibility, Respect, Determination. To launch the business principles, we ran an external photo competition, seeking entries on the themes of Responsibility, Respect, and Determination. The coffee table book we produced became a treasured gift, and the picture gallery on inside. ABB was well visited. We settled for Technology Leader, Pioneering Spirit, and At Home Everywhere, and developed a simple system that linked agreed themes, such as industrial productivity, with market offerings – all resting on our brand pillars. Our external stakeholders began noticing positive change. The media was kept up-to-date in traditional ways, but also by our local communications managers “leaking” the Dormann letters to journalists who followed ABB closely. Customers remained loyal. Granted, it would have been hard to rip out a whole dock of ABB robots, or disconnect your power grid. But new orders kept up, and steadily improved. Our salespeople did a great job of keeping commitments and maintaining high service levels. The stock market saw Mr. Dormann’s team solve the asbestos issue with a deal that made the tort lawyers interested in ABB returning to good financial health. The liquidity issues were overcome as non-core businesses were divested, which also served our strategy of focusing on power and automation technologies. A cost-saving program (which the consultants wanted to call Slim Fast but we instead named Step Change) took a billion dollars out of running costs. And stakeholders became our advocates. We had built shared belief and we had inspired action. As Mr. Dormann said in an interview with Institutional Investor as he prepared to hand over the CEO office to Fred Kindle, ABB had gone from a survival battle to growth. This is now more than 10 years ago. But the period showed that Communications can and must play a key role as connector, accelerator, facilitator and integrator.